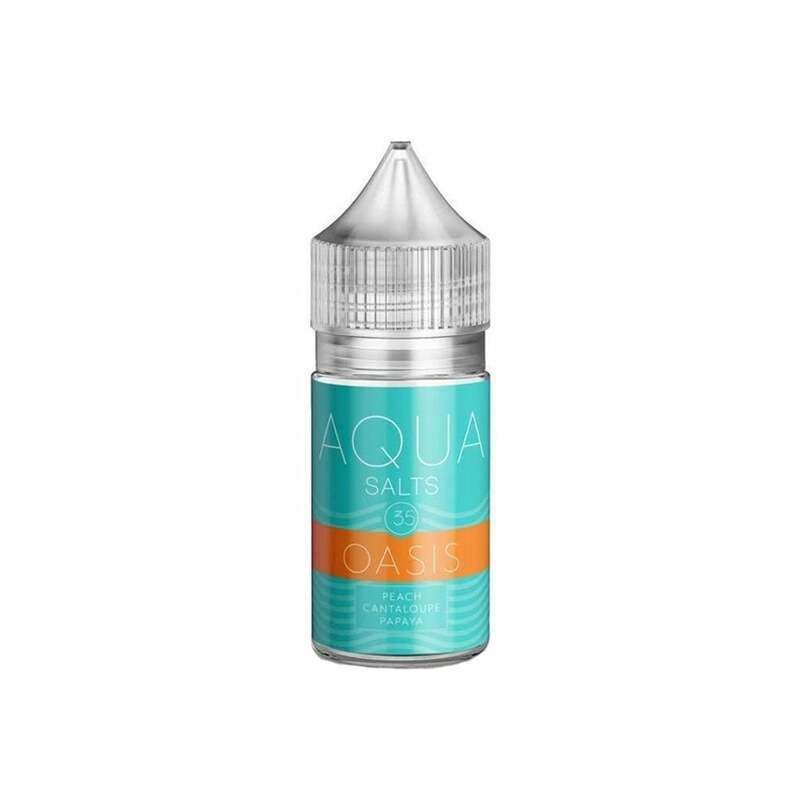 Find a moment of calm with Oasis, a nic salt vape juice from Aqua's Salts range. Take a trip to paradise with this refreshing blend of peach, papaya and cantaloupe, backed up with a nicotine salt formula for total satisfaction and a truly smooth vape. Perfect if you want a light fruit flavor! It’s one of my favorites! My personal choice of fruit. You won't be disappointed. I used this in my Smok Nord and the taste is very good. Not one of the flavors is more potent than the other in my opinion. Nice balance of all. Very light and refreshing taste. This is one of my absolute favorites! The flavor is very unique and refreshing. It's sweet but the fruit flavor is more prominent and the cantaloupe stands out the most to me. It almost has a light menthol vibe, even though it's not menthol. I used to smoke Marlboro Blue 72's, and this is one of the juices that helped me successfully quit after a long struggle with cigarettes. The only issue I've had with it is that it doesn't work well with the Mi Pod. It seems to clog up the cartridges? I ended up using it in my ELEAF Basal mod, which is a lower wattage device. I only use the Basal at 15-16 Watts, but still have to be careful as it's still very potent and can cause 'Nic Sickness' if overused. Also... This is the best price I've found for Aqua Nic Salts. Thanks Electric Tobacconist! Nice flavor. Not overbearing. I really enjoyed it. Incredible flavor. Perfect balance of sweetness. All day vape for me.